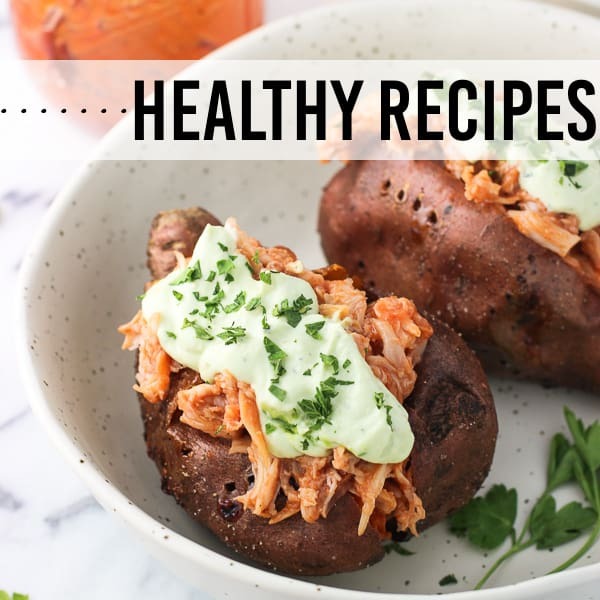 Oven baked buffalo chicken thighs have quick and simple prep (just a few minutes!) 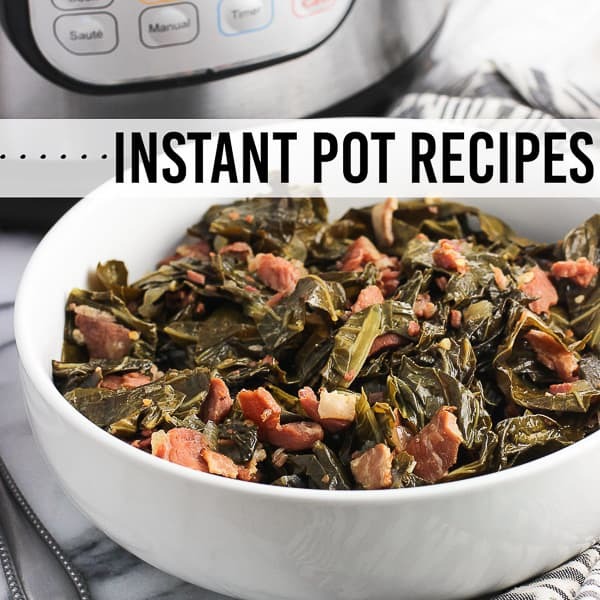 and make a great weeknight dinner option. The skin is seasoned and crisps up wonderfully in the oven without breading or frying. 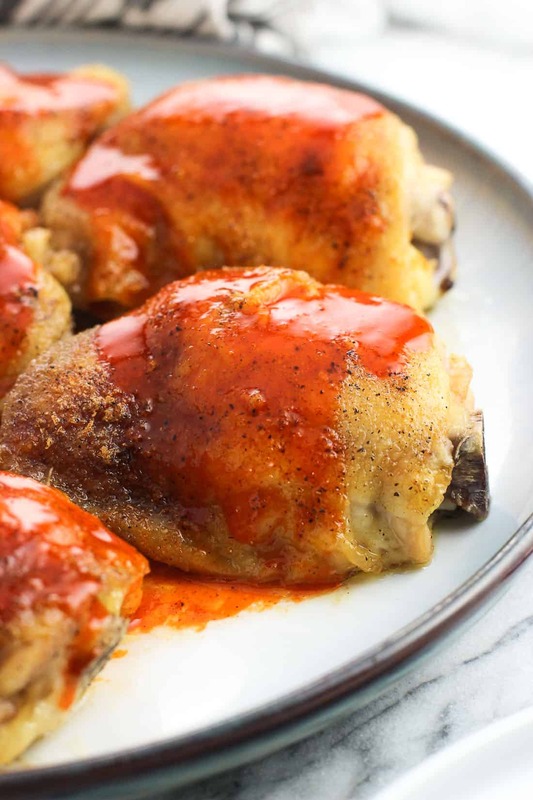 They’re so good drizzled with an easy, sweet heat buffalo sauce. Another day, another buffalo chicken recipe. While that’s not necessarily the case (lots of other chicken recipes on here), it certainly feels that way sometimes. 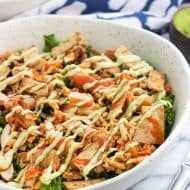 I’ll get on kicks where all I want for lunch is a big salad with shredded chicken, buffalo sauce, tomatoes, sliced almonds, and a bit of ranch dressing. Multiple (many) days in a row. In fact, the evening I made these baked buffalo chicken thighs for dinner (and for these pictures), I had a eaten my fave buffalo chicken salad for lunch. These baked buffalo chicken thighs will become weeknight favorites for a few different reasons. The skin crisps up in the oven beautifully. No breading or frying required. 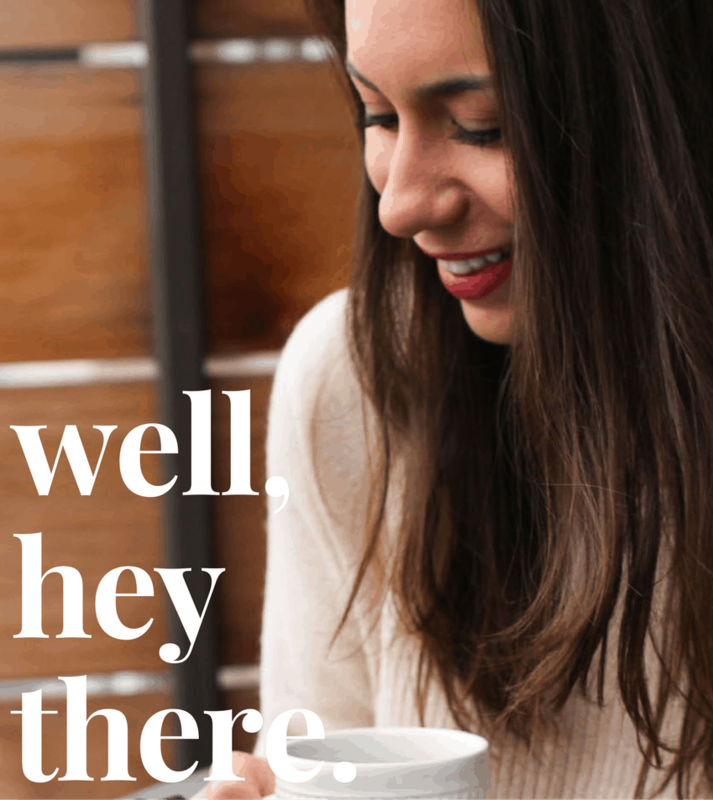 They have super quick prep! Once patted dry, you’ll brush the tops and bottoms of each chicken thigh with olive oil and season them a simple spice mixture. Into the oven they go for 35-40 minutes, and then dinner is served. The sauce. YUM. 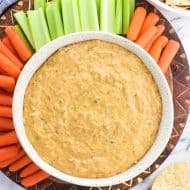 You can use your favorite store-bought buffalo sauce as-is, or combine it with a little bit of honey and butter as I did in the recipe card below for an extra special, semi-homemade touch. 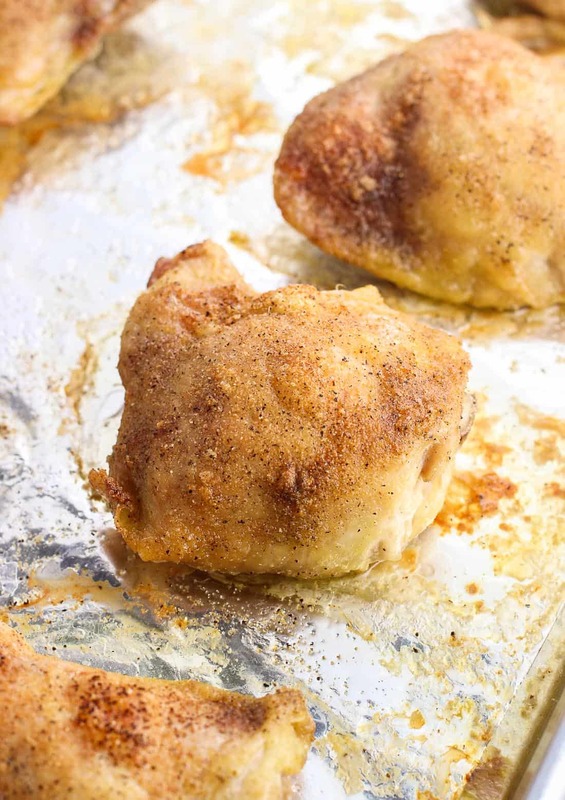 Patting the chicken thighs dry reduces the surface moisture, which in turn helps the skin become crisp in the oven. I’ve skipped this step before if I was feeling lazy, and while they’ll still crisp up some, I’ve found that patting dry does make a difference. Feel free to tweak the seasoning mixture as you like! This is the buffalo sauce I use (<– affiliate link). I put it on everything. 😉 If using a different kind, keep in mind that the nutritional facts below were calculated using this one, which has zero calories per serving. 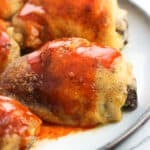 Oven baked buffalo chicken thighs have quick and simple prep (just a few minutes!) and make a great weeknight dinner option. 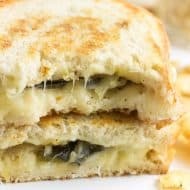 The skin is seasoned and crisps up wonderfully in the oven without breading or frying. 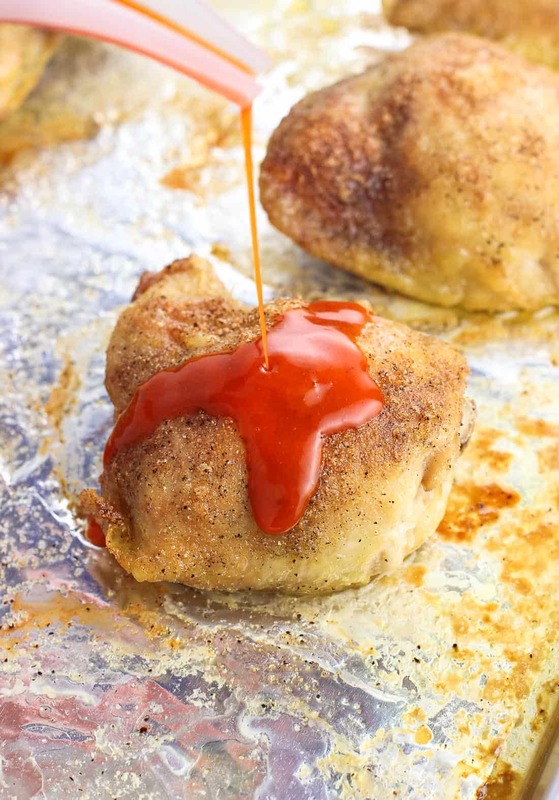 They're so good drizzled with a sweet heat buffalo sauce! 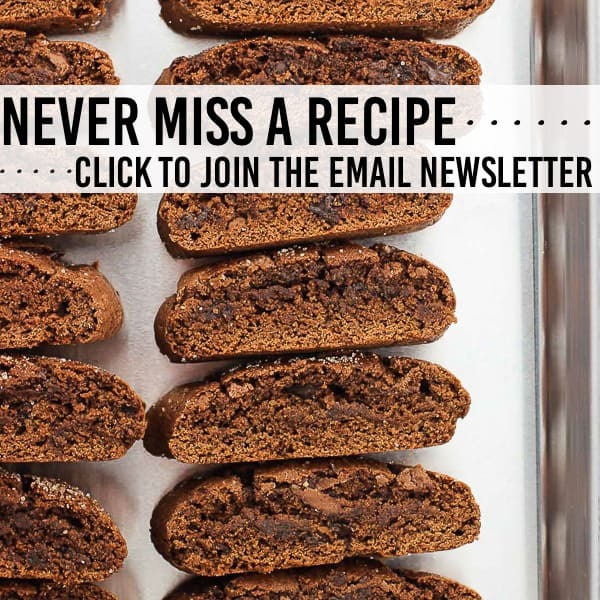 Preheat oven to 400°F and line a large rimmed baking sheet with foil. Spray foil with cooking spray. Place chicken thighs equally spaced on the baking sheet, skin side up, ensuring that they're not touching. Brush top and bottom of each chicken thigh with olive oil. 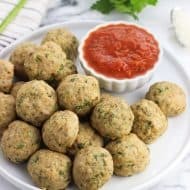 Stir together salt, garlic powder, parsley, pepper, and onion powder together in a small bowl. Sprinkle spices on tops and bottoms of chicken thighs, leaving them skin side up once seasoned. Bake for 35-40 minutes, or until internal temperature reaches 165°F. 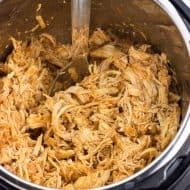 If desired to crisp the skin additionally, broil the thighs for a very quick time (less than a minute), keeping a close eye so that they don't burn. Remove baking sheet from the oven. Add buffalo sauce, honey, and unsalted butter to a small saucepan set over low-medium heat. Stir until the butter is melted and all ingredients are combined. Drizzle sauce over chicken thighs for serving. 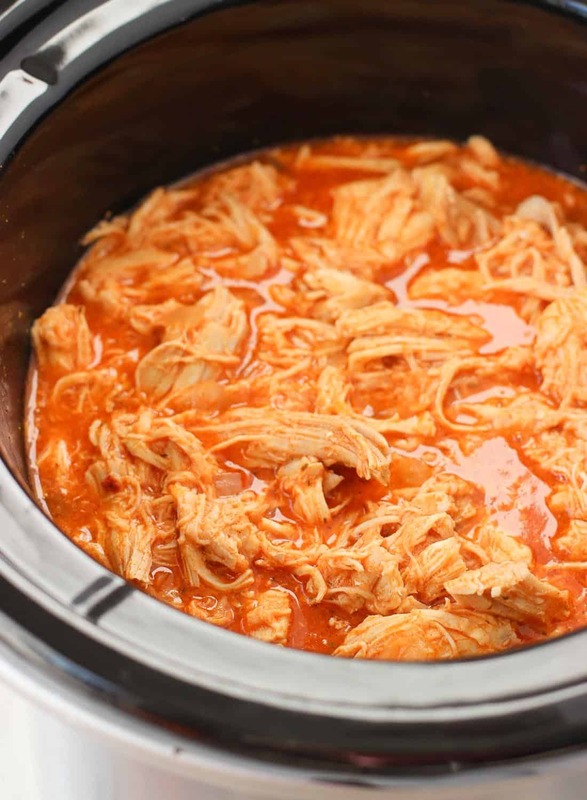 Slow Cooker Buffalo Chicken is an easy, healthy way to make spicy buffalo chicken for a crowd. 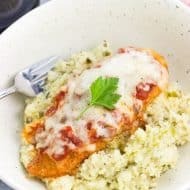 This recipe is always on my mind when I see a BOGO deal on boneless skinless chicken breasts. 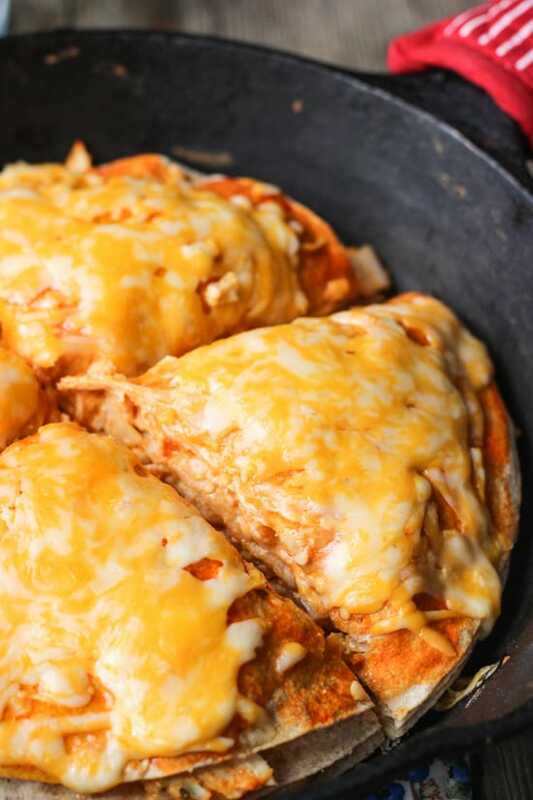 Buffalo Chicken Tortilla Pie is another weeknight-appropriate meal. Using a rotisserie chicken makes this one a cinch. 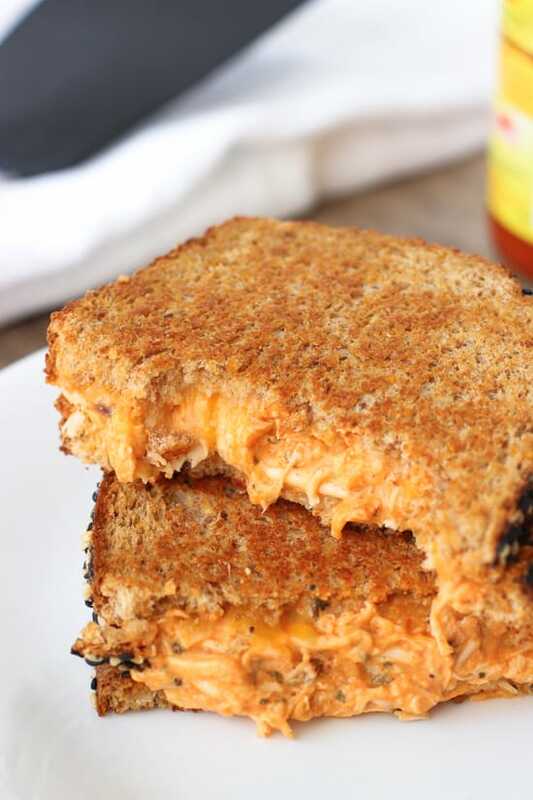 Buffalo Chicken Grilled Cheese is an oldie but a goodie. Again, is there anything a rotisserie chicken can’t do? Hello, comfort food.